In honor of this week's Open Source Bridge conference, as well as in recognition of the role that open source software has played in the development of our business, we're pleased to announce that today, June 16, 2009, Code Sorcery Workshop is offering any open source contributor a free license to Meerkat, our SSH tunnel management application. We are also giving away a $250 gift certificate to the legendary Powell's Books. Read on for the details. If you'd like a free copy of Meerkat, just leave a comment on this post linking to an open source project that you've worked on with a brief mention of what you did. It could be coding, but doesn't have to be -- it could also be documentation, helping new users, anything that contributes to the common good of the project. We'll collect all the info and send each contributor a full, unrestricted license to Meerkat, a $19.95 USD value. However, if you'd like to instead try for the $250 USD gift certificate to Powell's Books, a purchase of Meerkat will make you eligible for this drawing. Just register Meerkat today and you will automatically be entered for the drawing. The winner will be announced in a followup post. In both cases, you must take action by midnight Pacific Daylight Time tonight to qualify. Meerkat is an application that adds a lot of Mac-specific value to SSH, an open source tool that ships with every Mac (as OpenSSH). And Macs themselves are built on a ton of open source software such as Apache, Postfix, CUPS, Perl, PHP, Python, Ruby, sudo, unzip, zlib, and many others. You can read more about Apple's commitment to open source as well as open source releases pertaining to Mac OS X.
I began knowingly using open source software in the mid-90s and started contributing by releasing my own projects on freshmeat in late 1999. I've always looked for ways to contribute to open source projects when I can, whether it's by bug fixes, new feature patches, documentation, or just community help. Most recently, I've been involved with the Drupal content management system. Open source is the lifeblood of the internet. So many of the tools that we take for granted everyday have been developed in this way, by generous folks giving their time for the greater good. I am extremely thankful for the many ways that open source has enabled me to teach myself a lot of what I know today about technology, to provide economical solutions for clients who need it, and to make software better and better by degrees. So, here's to open source! I have recently, like many other folks, become a fan of my friends Daniel Jalkut and Manton Reece's new Mac developer podcast, Core Intuition (especially the whimsical theme music). In their latest episode, Traveling Luddites, among other things, they discuss distributed version control systems such as Git, Mercurial, and Bazaar. I'm kind of in the same boat in that I've spent little or no time trying these systems out compared to what I've been using, Subversion, and am a little hesitant to invest a lot of time into migrating and learning a new system. Don't get me wrong -- I'm a hacker and I love to try new technology. However, I don't really have any problems with Subversion and in fact, some time ago I came up with a really sweet setup for offline development, offsite backup, and integrated project management using Trac that I've been meaning to blog about, and this episode was just the catalyst I needed. Offline access to your versioning, ticketing, and documentation systems. Support for multiple projects (though one project is just fine, too). A multi-user setup, if you need it. Integration of your code repository with web-based ticketing, GUI changesets and diffing, activity timelines, and project roadmap planning. Complete, incremental offline backup whenever you like (and have a connection). Very little intrusion into your Mac OS X environment. Complete flexibility in getting your data out at any time. Just have a look around the Trac demo to get a feel for this system. It was a tremendous thrill during the development of Meerkat to see the roadmap progress meter get ever closer to the 1.0 milestone as I closed tickets and definitely helped me organize the project much better than before I adopted Trac. And this isn't rocket science -- if you're already technical enough to be using version control, I'm pretty sure you can handle this and have a great setup in a short amount of time. I've found that the parts that trip most people up are Trac installation and Apache configuration. Relax, I've got you covered. 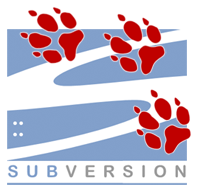 I've been using Subversion in both user and administrator capacities since 2001 and before that, like Daniel and Manton, I too had a painful coexistence with CVS (and still do sometimes with projects like Drupal). I was introduced to SVN by a former co-worker, Garrett Rooney, back in the days when he was one of the few people who knew about and worked on SVN. Since then, he literally wrote the book (Practical Subversion ) on SVN and through the years, I've come to really love the project and have introduced my fair share of folks to it as well. While, as I said, I'm generally open minded about new technology and systems, when it comes to version control I'm in the camp right now of "if it ain't broke, don't fix it". I'm using Trac on some other client projects, including one with a team of over 30 people all over the world, and I use SVN for the development of both Pukka (over two years of commits) and Meerkat (about a year of commits) as well. It works well for me, I don't have hassles, and since SVN has been integrated with Trac, Apple's Xcode, and the Apache web server that ships on OS X, it's going to take free pony rides or something comparable before I seriously look elsewhere for my version control needs. Of course, YMMV. A Mac running Leopard and administrator access to it. Familiarity with SVN, but you don't need an existing repository. About an hour to spare (or less, and not counting some background compilation time in which you can do other things). If you already have MacPorts installed, you'll save even more time and you won't even need to manually download anything else. I'll admit it, Trac can be a little intimidating to setup because of dependencies. But if you get MacPorts, this can all be reduced to a fraction of the time and very little hassle. Install MacPorts if you don't have it already. The latest installer package for Leopard is here. Make sure that /opt/local/bin is in your path so that the commands provided with MacPorts are available to you easily in the Terminal. Open up Terminal and start the Trac installation process by typing sudo port install trac. Let it roll while you grab a $BEVERAGE or move on to the next steps. When it finishes, you should be able to access a command called trac-admin in Terminal. Depending on what ports you already have installed, you may need to answer some basic questions during the install process, so keep an eye on the window. Brian Cooke's Growl When Done is a good solution here. You'll need to setup a parent directory for your Subversion repository or repositories. I like /usr/local/svnroot, so if you are using someplace else, you'll need to alter the directions below as appropriate. Keep in mind that stuff under /usr/local gets backed up by Time Machine by default, even if you exclude "System Files and Applications". This is separate from the backup mechanism that I'll talk about in just a little bit. Make a top level Subversion folder using sudo mkdir /usr/local/svnroot and change into it. Either move an existing repository into a subfolder of this folder, or create a new repository folder using sudo svnadmin create MyProject in Terminal. Make the whole setup owned by Apache, which on Leopard can be accomplished with sudo chown -R _www:_www . in the Terminal. Again, I prefer a similar convention here and put stuff under /usr/local/tracroot. Adjust as necessary. Make a top level Trac folder using sudo mkdir /usr/local/tracroot and change into it. Create a new Trac project using sudo trac-admin MyProject initenv. Give your account full project permissions using sudo trac-admin MyProject permission add <username> TRAC_ADMIN in Terminal (replacing <username> with your own username). Make it owned by Apache using sudo chown -R _www:_www . like you did with SVN. This is perhaps the trickiest part, but I've done the work for you. I did some poking around and figured out a good way to get this working with the Apache that is built into Leopard. Although I haven't tested the other parts of this guide for Tiger compatibility, Apache is pretty much the part that requires Leopard, since it ships with Apache 2 and has some of the modules necessary for SVN integration built in. If you have your own Apache 2 going with MacPorts or something else, perhaps this will still work for you. First, you'll want to create a password file for authenticating your Trac and SVN users, even if it's just you. Be sure to replace <username> with your own username. This command will create a new password file at the chosen path and add your first user. If you have other users, repeat the command above with their usernames but leave off the -c option since the file already exists and you don't want to clobber the previous commands. Remember in both of these instances to change the paths as necessary if you put your SVN or Trac environments someplace other than the paths I mentioned above. Once these files are set, go to Terminal and issue the command sudo apachectl graceful to let the configurations take effect. Once you do, you should be able to reach your Subversion repository at http://localhost/svn/MyProject and a list of your Trac projects at http://localhost/trac. Both will be password protected using the account(s) you created above. You're almost there! The last bit is some scripting that lets you back both of these systems up to a remote server using rsync over SSH. echo "Backing up Subversion repositories..."
echo "Backing up Trac databases..."
Be sure to replace the <username> and <hostname> values with whatever username and hostname your SSH account has. In Terminal, use chmod 755 /usr/local/bin/ts to make the script executable. Now, whenever you want to incrementally backup your SVN and Trac databases, just type ts (think: "trac sync") at the shell. Everything that has changed since the last time you performed this command will get copied up to the remote server, keeping a handy backup of both your SVN repositories and your Trac installations should you need to move to another server. And even without the Apache configuration, the SVN repository will be useful as a standalone. Just keep in mind that it is for backup purposes and there is not any two-way syncing going on. That is, your local copy is the authoritative copy and is the one that you should use from day to day, and ideally over HTTP and not using local filesystem access to /usr/local/svnroot directly. This system has been really useful for me during the development of Meerkat and through the continued development of Pukka, since I've been able to easily track feature requests, bugs, wiki-based notes for future reference, and have it all tied together with Subversion commits. In addition, I've been able to take advantage of offline time while at airports or otherwise on-the-go to actually get code committed, issues resolved, ideas jotted down, and processes documented. I hope that this guide has been useful to you. Of course, feel free to leave a comment if you have any questions or clarifications or find any typos and I'll try to correct them. Check out the past couple years' posts in the blog archives.